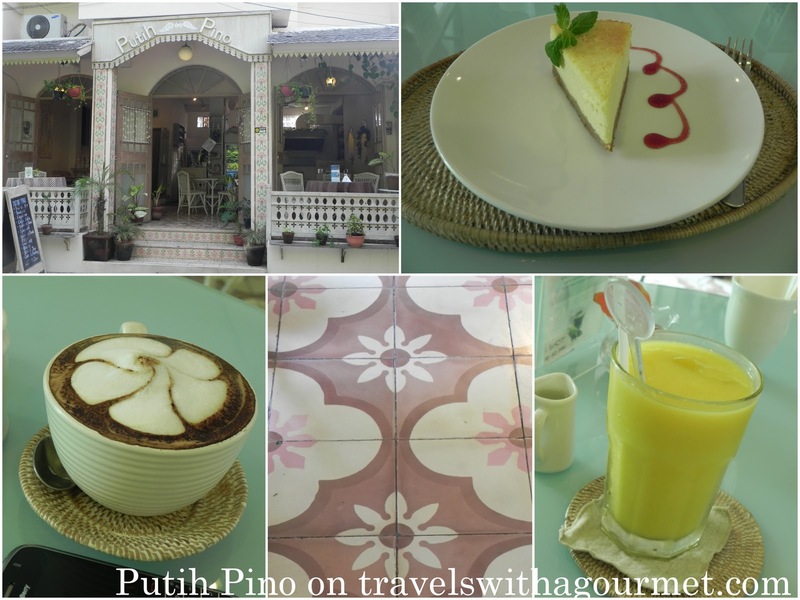 In an easy-to-miss side street just off Sanur’s Jalan Danau Tamblingan is a tiny sweet-looking cafe called Putih Pino. A friend brought me here for a coffee and cake one afternoon in December and I have been back several times since to have a coffee, with beautiful latte art, and a slice of whatever cheesecake they have for the day. The place has a colonial-theme all-white interior with antique tiles and a small open kitchen just like someones home. Their menu is limited with a few breakfast choices, some sandwiches, a few simple Asian-style main courses plus their cakes and desserts in the display case which change often. There are also fresh mixed juices and good coffee. Stop by for a quick coffee and cake at one of Sanur’s little secrets. *Open daily for breakfast, lunch and tea.